Are we alone in the universe? This question still baffles astronomers (along with the rest of humanity) today, despite the confirmed discovery of thousands of exoplanets. Sure, there may be a plethora of other space pebbles out there, but do any of them actually host life? And if they do, could it ever compare to the variety of species we see on Earth, from human beings to tardigrades? Unfortunately, we don’t have the answers to these questions yet, but today’s authors take a step in the right direction. By creating a model to measure potential biodiversity, they explore which stars are most likely to host planets capable of supporting complex life. These findings may help future exoplanet habitability studies point in the right direction. Many habitability studies focus largely on M dwarfs, which readily reveal orbiting planets due to their low mass. Planets have indeed been found in the habitable zone (HZ) of these stars. But just because a planet resides in the HZ, doesn’t mean that it’s exactly welcoming to any life forms. You see, the HZ of these M dwarfs doesn’t extend very far from the star itself. This means that any planets finding refuge in the HZ are exposed to strong stellar wind, which can strip a planet of its atmosphere and destroy any chances for life. Today’s authors postulate that the maximum timespan a planet can hold onto its atmosphere largely determines the biodiversity of life on that planet. If a planet has had a longer time to allow for speciation – the development of new species via evolution – then a more diverse biosphere would be present. This translates into a greater likelihood for intelligent life and increased chances for detection via habitability surveys. The model used in this paper is quite simple, based only on the exponential growth of species richness, which is simply the number of species present at a given time. This growth is described by what the authors call the characteristic timescale of species diversification; i.e., the rate at which new species develop. By assuming that there are about 107 eukaryotic species present on Earth, the authors model the increased diversification of the Cambrian period and the time it took for life to emerge (known as abiogenesis). Since the model predicts these events nicely for our home planet, they proceed into the exoplanetary realm. First, they set constraints on the length of time an exoplanet is habitable. We would take an upper limit to be the lifetime of the host star (and therefore a function of mass) if we didn’t know better. But this is science, so of course there are other factors at play. Cue in that pesky stellar wind! The authors calculate just how long an atmosphere could withstand this phenomenon before being obliterated. They use this interval as the maximum timescale over which life could diversify (if less than the lifetime of the star). With this time limit, they model the potential number of species on an exoplanet as a function of time. They find that the likelihood for life to develop is largely dependent on the mass of the host star. This relationship is shown in Figure 1, along with the relationship between mass and biological clock. Figure 1: (Left) the maximum timescale for exoplanetary evolution as a function of stellar mass. The top, solid line marks the solar lifetime. The dashed line marks the accepted timescale of eukaryogenesis on Earth, while the dotted line marks the abiogenesis timescale. (Right) the peak species diversity as a function of mass. The blue dashed line marks the current microbial species on Earth; the blue dotted line marks the current number of eukaryotic species. The black dashed and dotted lines denote the max number of species attainable for Proxima b and TRAPPIST-1 planets, respectively. 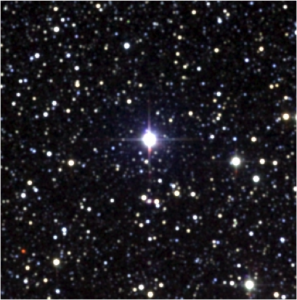 According to the model, stars falling within the range of 0.28 to 1.74 solar masses are the only ones that could host life long enough for eukaryotic species to emerge. While K dwarfs and most G dwarfs fit these criteria, only higher mass M dwarfs make the cut. Interestingly, a subset of this range (stars between 0.38 and 1 solar mass) could actually host life more complex than ours, since the timescale for speciation is even longer than that on Earth. Specifically, the maximum time for which a planet could support life occurs when the host star is 0.55 solar masses. This corresponds to a K-dwarf with a lifetime 6 times that of our sun. So it seems like K dwarfs are the way to go if we want to find extraterrestrials. On the downside, the model shows that stars with less than 0.17 solar masses would host planets incapable of supporting life. The generally accepted timescale of abiogenesis on Earth is about 200Myr. If we assume that this timeframe applies to other worlds, then these low mass stars would have their atmospheres ripped away long before any semblance of life arose from the primordial soup. Sure, the abiogenesis timescale on other worlds may be different than our own, but hey, it’s the only comparison we’ve got. Here’s the kicker. Some of the most infamous exoplanets, like Proxima b and the TRAPPIST-1 planets, orbit stars with very low masses – Proxima Centauri weighs in at only 0.12 solar masses and TRAPPIST-1 at a measly 0.08 solar masses. In light of this study, the exoplanets belonging to these star systems are very unlikely to host life, and if they do, it would be minimal at best. Alas, there is still hope for other well-known exoplanets like Kepler-186f and Kepler-1229b, whose host stars sit right in the sweet spot at 0.54 solar masses. This paper shows that the characteristics of the host star are crucial to the biodiversity of its planets. It also gives us a better idea of where to look for life in the universe. When we search for aliens, or more scientifically, habitable planets, we may want to direct our resources towards K and G type stars. I am a PhD student at the University of Georgia and, as boring as it may sound, I study dust. This includes debris disk stars and other types of strange, dusty star systems. Despite the all-consuming nature of graduate school, I enjoy doing yoga and occasionally hiking up a mountain.